Para-Taekwondo star, Amy Truesdale will be back in action tomorrow (Friday) at the Canadian Open which takes place in Montreal. 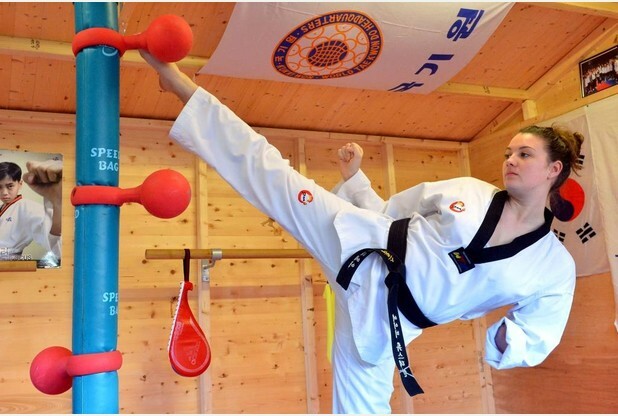 The competition itself, is the first seeded world event of the year and the Stoke-based fighter will have her sights set on earning some all-important ranking points in a bid to compete at the Tokyo 2020 Paralympics, where Taekwondo will be included for the first time. 2016 will prove to be quite a pivitol year for more reasons than one for the determined 26-year-old, as she will also be defending her European title later this year, in September. “It’s a great opportunity for Amy to get ranking points early in the year in preparation for the European Championships in Poland,” said coach Peter Johnson. “These all add up to make her top seed in World Taekwondo Federation’s rankings table.